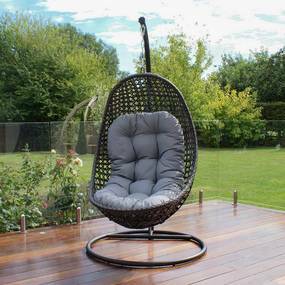 Close your eyes whilst lounging on this and you're ALMOST in Ibiza. Sort of. I prefer to keep my larger/key bits of furniture neutral, cause then with each season it makes it super easy to swap out accent pieces like cushions, without having to worry about clashing colours and prints! 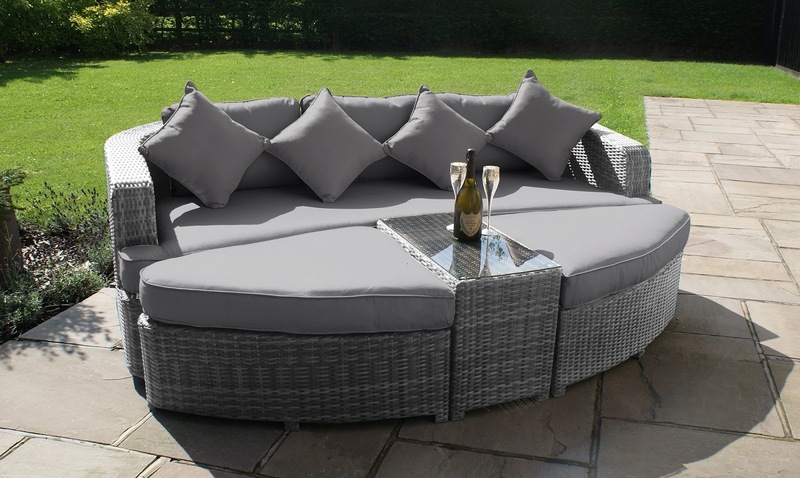 The Saint Thomas Rattan Daybed from Fishpools is perfect for lounging in the sun in style, and the cool grey colour really gives me those chilled out Ibiza vibes! It can be separated to seat more people and there's a handy coffee table in the centre (so you have somewhere to rest your empty glass of Aperol Spritz. Or gin and tonic. TBH Girl, whatever your potion, I approve). Moroccan decor is so beautiful, and I know my dream garden wouldn't be complete without an Eastern-inspired lantern or two! This one from Wilkos is the Solar Lantern Moroccan Metal, and it's perfect cause it's solar powered so there's no pesky batteries to charge or replace! (Plus it's really gorgeous and rustic looking too!) It would look even cuter surrounded by some little white pebbles and stones - which are a great fuss-free way to jazz up a bit of empty space! The temptation to get a whole elephant planter family is real..
Anthropologie is always my go-to place for little trinkets and accessories, cause they do them so darn well. I was originally looking at their coloured tumblers and glasses until found these stunning Murano Coasters, and knew I had to have one in each colour! They'd work perfectly on the coffee table in the centre of the Daybed, as they tie in perfectly with the design on the Fishpools floral cushion! I was initially looking for some pretty teal wine glasses for my summer garden wishlist but after finding the Anthropologie coasters above, I knew I had to find something slightly more understated and neutral to compliment them. I love the Bellagio Wine Glasses from M&S, they're classic yet the gold-dipped effect adds a uniqueness to them, and I felt they really fitted in with my greys and warm metals. I went (virtual) shopping around for some teal cushions to bring a bit of colour to my outdoor furniture, and came across these vibrant Chenille ones from Wilkos. (They're so cheap and cheerful it doesn't matter if they get left out in the rain either!) I'd finish the daybed off with the beautiful Irina Teal Cushion from Fishpools. The floral design on it is so pretty and delicate and I feel like it brings the whole look together. Who couldn't cosy up and fall asleep in this? 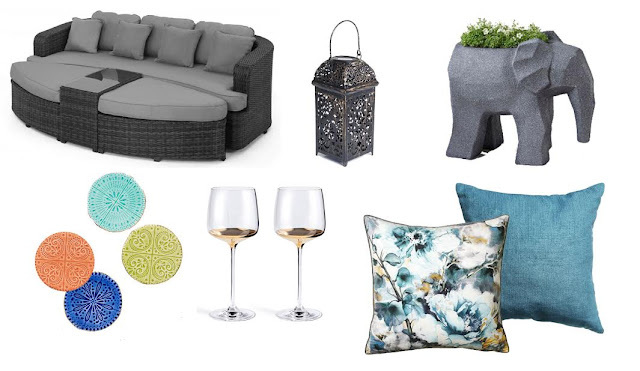 Thanks so much to Fishpools for collaborating with me on this fun little post, and remember to check out their fab selection of outdoor furniture and accessories! Let me know in the comments how you'd like to decorate your dream garden (or real one) this summer! We don't really have much of a garden at home and I am always so jealous of people who can buy such pretty garden furniture! I definitely need a big garden when I have my own house. I love that hanging chair, it just looks like the perfect thing for lounging around and reading while enjoying a glass of wine. OMG I want everything! We're in the middle of a garden make-over (blog post coming soon) but these have given me all the feels & inspiration!! As always, your taste is absolutely impeccable, Izzy! 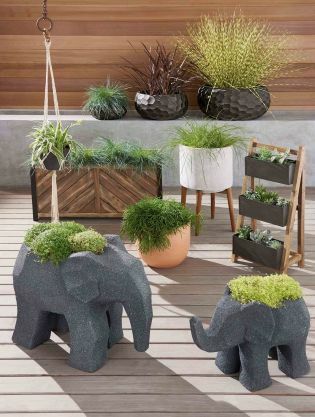 How adorable are those elephant planters?! I'm in love! 😍 The Malibu hanging chair looks so dreamy, I could definitely imagine lounging around there with a book on a hot summery day! The only thing I'd add to this list is a hot tub hehe! That day bed is sooooo cool! We have a huge garden but don't really have anything in it! That floral cushion is right up my street too! That day bed and hanging chair are FABULOUS! I wish, wish, wish I had a garden big enough to fit those in. We have a complete postage stamp so there really isn't much we can put in it! OMG the elephant planters are so me - now I wish I had my own place, haha! The component that makes fence restore expensive by using provider vendors is the exertions concerned in fixing the fence. If we removed the human hire discuss, and with substances and gear in repair, then we are talking saving time misplaced in commuting by using the carrier providers and potential mark up in fees due to the human hire being available to restoration our fences.